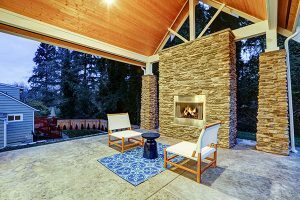 Homeowners have a lot on their to-do lists from lawn care to bill paying and, if they have a fireplace, often forget about preparing them for winter after a long summer. However, it’s extremely critical to remember to get a fireplace inspection before you start enjoying your fireplace during cold weather months. Not only does it help keep your home safe, you can prevent disasters from happening and can save a lot of money in repairs when you remember to schedule a fireplace inspection. 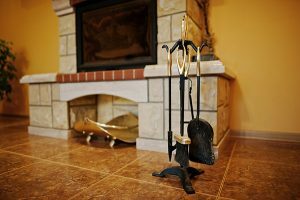 In this article, we’ll go over why it’s important to have your fireplace and chimney inspected at least once per year. 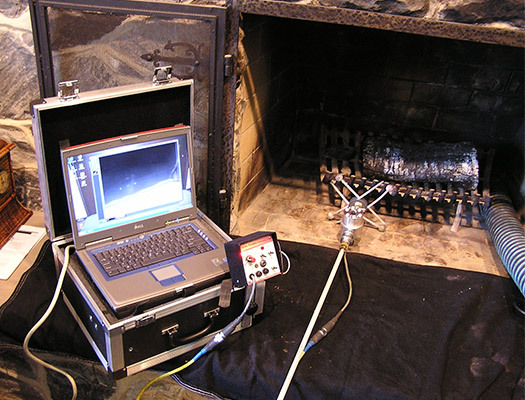 Obviously, the most important reason to get a fireplace inspection is to help prevent chimney fires. How can an inspection help prevent a fire? Well, if the technician performing the inspection notices any high levels of soot and creosote build-up or any other blockages, you’ll know it’s time for a fireplace and chimney cleaning. It’s highly recommended that you get a chimney cleaning and inspection at the same time to make sure your fireplace and chimney are clean, safe and properly functioning. 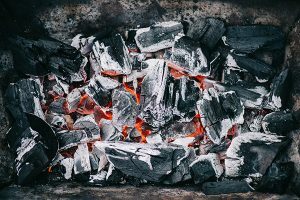 If you have a chimney that’s dirty and and the flue is lined and blocked with soot, then every time you have a fire, it’ll be at a high risk of igniting and causing a chimney fire. 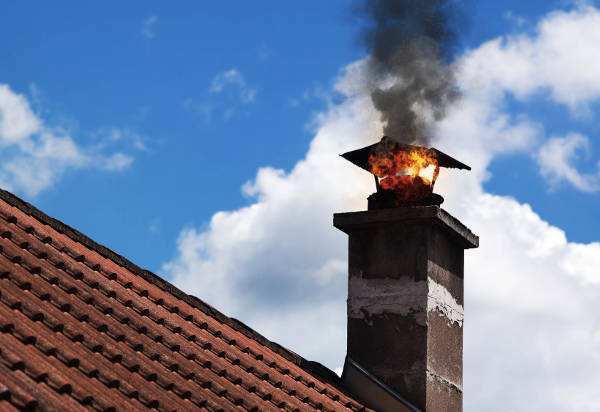 Chimney fires can either be extremely loud and noticeable when they ignite, or they can be very stealthy and you might not notice it’s on fire until it’s too late. The simple and easy method of prevention? A fireplace inspection. As you may know, when a fire burns, it creates smoke and carbon monoxide which are both extremely dangerous to breathe in. 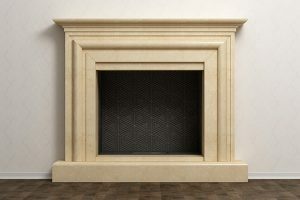 When you have a fireplace, you must be as cautious and safe as possible to avoid those things from entering your home. By simply getting a fireplace inspection once per year before you start using it again, you’ll be able to stop any problems before they get out of hand. 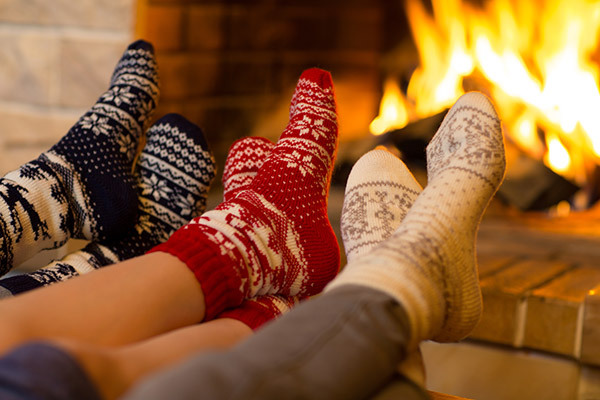 While inspecting your fireplace, the technician may find that your damper is faulty or completely broken or maybe your flue and liner have a blockage. When the smoke and carbon monoxide don’t have a clear path out of your chimney and to the outdoors, it can billow back into your home and you and your family will be breathing it in. Breathing in smoke and carbon monoxide is extremely dangerous and can be fatal in some cases. When you get your fireplace inspected, you can rest assured knowing that you and your family will be safe when you use your fireplace. You use your fireplace for warmth and comfort during Chicago’s frigid winter months. You’re relying on that fire to keep the room heated and comfortable. When your fireplace and chimney is dirty, blocked or not properly working, the fire will not be nearly as effective at heating the room. You’ll find yourself using more wood and at a much faster rate than normal. Also, since your fire isn’t doing the job, you’ll rely more on your furnace to heat your home. Both of these scenarios will end up costing you more money than you’d like to spend. A fireplace inspection will point out any flaws that’ll hinder the performance of your fireplace, allowing you to fix the problems so you can enjoy longer, more efficient and less expensive fires. As we’ve mentioned, if your fireplace and chimney aren’t clean and in proper working condition, smoke will have a difficult time exiting your home. Not only does it cause a health hazard, but smoke accumulating in your flue and releasing back into your home will stain the area around your fireplace and any furniture that it touches. If the problem continues and you ignore it, your furniture and walls will be ruined with smoke stains. Imagine having to buy new furniture just because you didn’t get a fireplace inspection- don’t let that happen to you. Get a free quote for your next fireplace inspection from Early Times. Along with keeping your family safe and your home clean, a fireplace and chimney inspection will detect any potential problems before they spiral out of control. The inspection will cover all aspects of your chimney from the damper to the bricks on the outside of your chimney. If anything is out of wack or damaged, you’ll be aware of it and can have it fixed as soon as possible. For example, worn out brick and mortar will require tuckpointing, a damaged liner or damper will need replacement and a dirty chimney will need a sweeping. Any of these problems can be inspected for and fixed by Early Times. Our certified technicians know chimneys and fireplaces like the backs of their hands. Start your fireplace inspection today. None of the above scenarios are something that a homeowner wants to face. From a chimney fire to damaged furniture, a simple fireplace inspection can help prevent it all from happening. That’s where we come in handy. Early Times has been serving Chicagoland for over 30 years and we devote our services to keeping your home clean and safe. We make it quick and easy to start your next fireplace inspection with a free quote online. What’re you waiting for?